Sunday Stash this week is a series of Japanese Import fabrics ~ sometimes hard to find, usually with little or no details on the selvage which can make searching for and sourcing difficult. 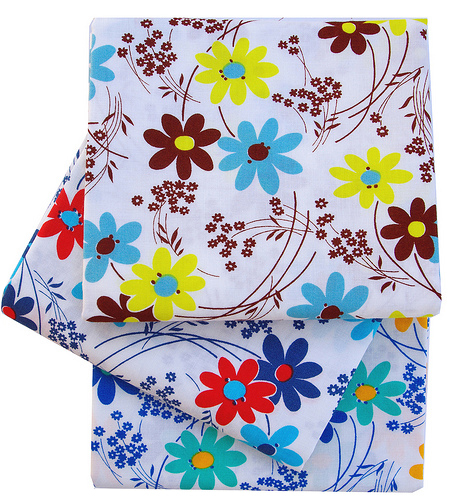 Floral Dash/Plaid by Kei Fabric - Made in Japan. 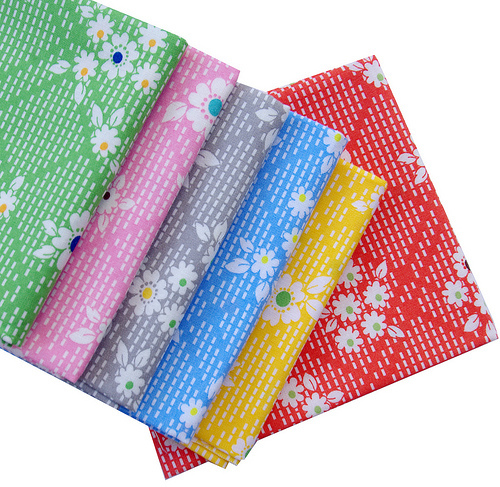 First up is a bundle of Floral Plaid prints by Kei Fabric Japan - great quality fabrics, saturated colors and a cute print! Next up are two more Kei Fabric bundles the first of which is a perfect color companion for the above pictured Floral Plaid bundle. 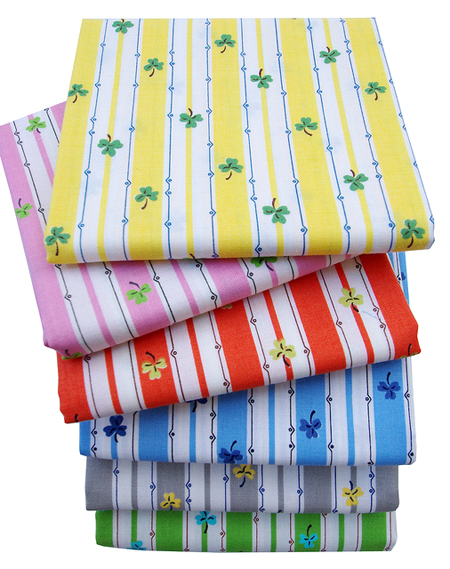 Clover Stripe by Kei Fabric Japan - no details on the selvage. Vintage Time - Kei Fabric - Made in Japan (details from the selvage). Japanese Cherry Floral - no details on the selvage. 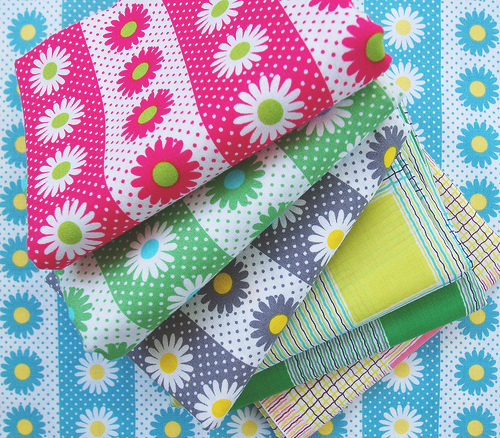 And last I purchased this cute bundle from an UK online store: Sew and Quilt. Needless to say I love all of these little bundles! All the fabrics featured here (except for the Lawn Plaid which is a lighter weight Lawn fabric) are standard quilting cotton and they will add variety to my stash and in turn a unique look to my quilts. I like all these fabric bundles. I'm going to have to get me some! Maybe it's because it's March and St. Patrick's Day is looming, but the clover stripe fabric makes me feel giddy. How beautiful. I love it in ALL of the colorways. Doesn't it have a vintage vibe? Can't you see a fifties dress with a shirt waist and full skirt? Thanks for the shopping tips. I really like these simple prints. 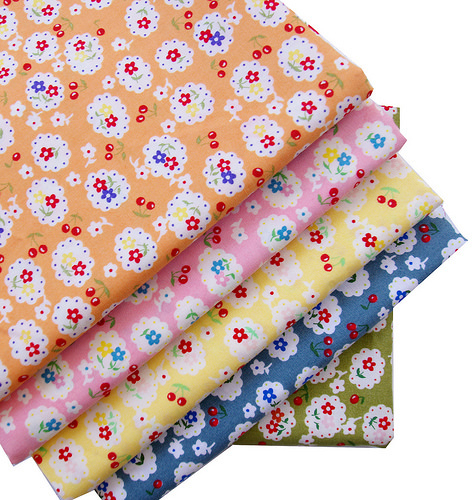 They are so colorful-favs are floral dash/plaid, vintage kei and japanese cherry floral. Love your selection of Japanese prints. When you buy fabric how much do you typically purchase? fat quarter, half yard, full yard.. I am a fan of Japanese fabrics. I look forward to seeing the quilts you make from these bundles.